We are so excited to announced the Finally Public Open. The Hispter Fair soon Coming, We have a Litlle Amount of Store Available For Designer and Few Vancat Space For Blogger. Dont Miss The Oportunity to Live the hipster Fair Experience. 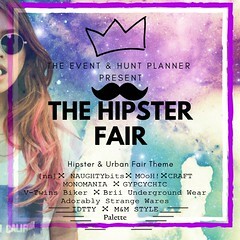 But 1st at All, Let me Introduce Yourself to the Hipster Fair Theme. All People Follows the latest trends and fashions, especially those regarded as being outside the cultural mainstream, Like the Hipster…!! The idea and lifestyle of a hipster has been marketed so well that it is now a fashion trend, there has been products and stores designed specifically for people who fall under the hipster category. The best example of this which many of you may relate to are considered to be Instagram and Tumbler! This was all possible due to high social media content, which they turned in to a movement marketing strategy. This event mixes everything that Secondlife can offer, taking it to the millennial lifestyle with exclusive articles inspired by the Hipster culture. All that style suits the theme. Jewelery, Furniture, Skin, Tattoo, Clothing, Accessories, Poses, Animations, Gadget, Nails, Makeup, Hair & Shapes. This year we want to do something special & Different, in terms of the space that we will have for the exhibitions of the participating brands. ✧ Sponsor Space – ( 120 prims & 1 Gacha Machine – booth located at the land point )7000 L$ Limited and we made a private invitations for this space. ➽ The designer must be content creator or his designs for the gacha must be original. ➽You can only buy max two machines per brand. ➽ You must be responsible to monitor and read all the information. You must be responsible to monitor and read all the information. ✧Each designer will have to make a one (01) exclusive release for this event. ✧Each merchant must rez 1 gift using the Gift Bag in your booth. This must be set to . :Fair Lovers Or Hunters:. of 3) you wish to have at the event. price (price range: 25-75 L $) for these items is exclusive for the duration of the event. Items that violate the TOS shall not be allowed (is forbidden to use pictures that have copyrights). If found during the event any item that is disagree with the rules of LindenLab, the object is returned immediately and without prior notice. More informations: ” CONTENT LICENSES AND INTELLECTUAL PROPERTY RIGHTS” (http://lindenlab.com/tos). This Event has more 95 Stores and the best secondlife brands. All in Boho & Hippie trend. Sponsored By: Artizana, A*S, SAGA, Monomanía, Ducknipple, ArisAris, Lakshmi, Adorez, Mooh!, NoName, Chop Zuey Couture Jewellery, *Pervette* Ghee, Petite Mort, Gall & Gypsy Chic. 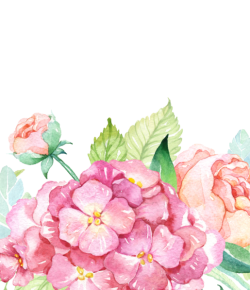 The Aloha Fair 2017- OPEN TODAY ….!!! The Event Hunt Forever Planner Present. ✿ Sponsored By: Sponsored By: Artizana,M&M, Ghee, LAKSHMI, FurtaCor, V-Twins Biker Ourfittes, NoName, *PerveTTe*, MOoH!, AdoreZ, A*S, Petite Mort,Gaal, Aris Aris, Gypsy ChiC & Chop Zuey Couture Jewellery. Come and enjoy the beautiful and Exclusive designs, which have made the best brands of Second Life. – Exclusive Gifts in Each Store- Found the Beach Ball. – Exclusive Items In Discount 50 % Or more Less.